"Landscape II," 1968-2015, spray paint on canvas, 218.2 x 291 cm. Lee Ufan (b. 1936) moved to Japan from his native Korea in 1956, and became the leading figure of the Mono-ha movement in the late 1960s. Lee went on to establish his own style that goes beyond the definition of Mono-ha, and continues to command international acclaim today. The Lee Ufan Museum on the island of Naoshima, part of Kagawa prefecture, opened in 2010. 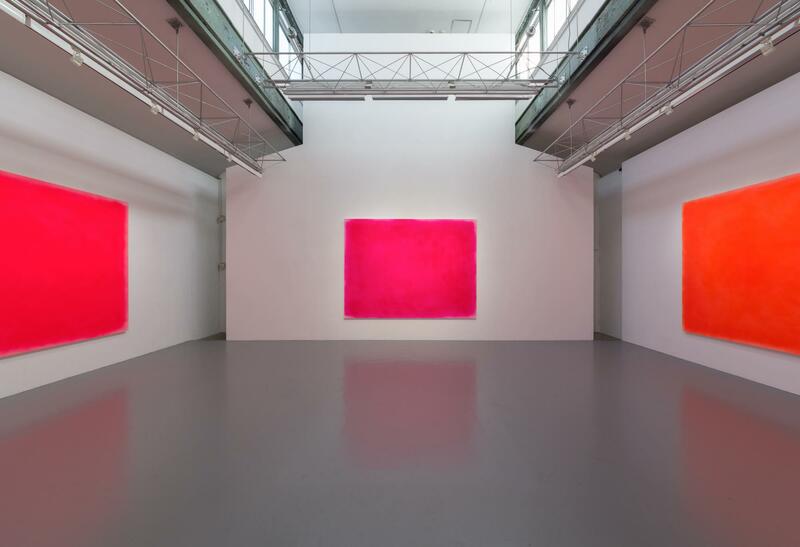 Since then, the artist has presented solo exhibitions at the Guggenheim Museum, New York in 2011 and the Château de Versailles, France in 2014, maintaining a high profile worldwide. This exhibition at SCAI the Bathhouse presents a recreation of Lee’s Landscape series, which was lost after exhibition in 1968. 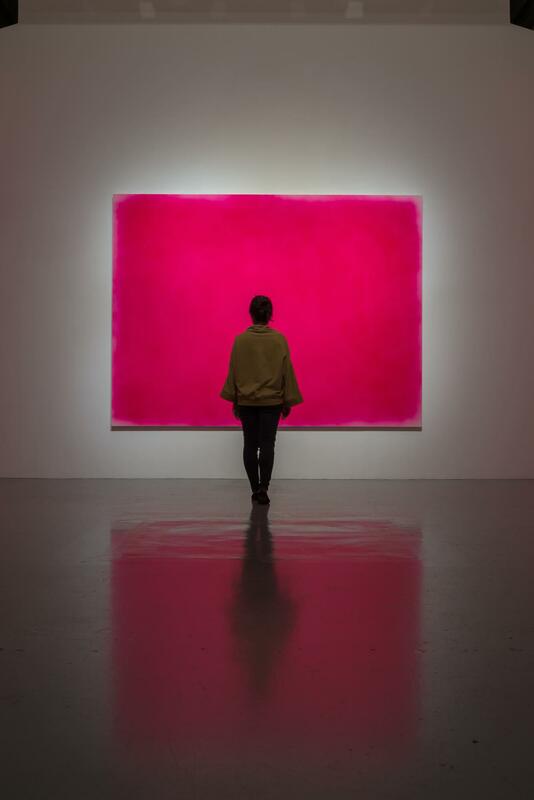 These are significant works that predate the establishment of the artist’s distinctive style, but which contain many elements that can be seen as precursors to his later work, making them extremely important for understanding his oeuvre. 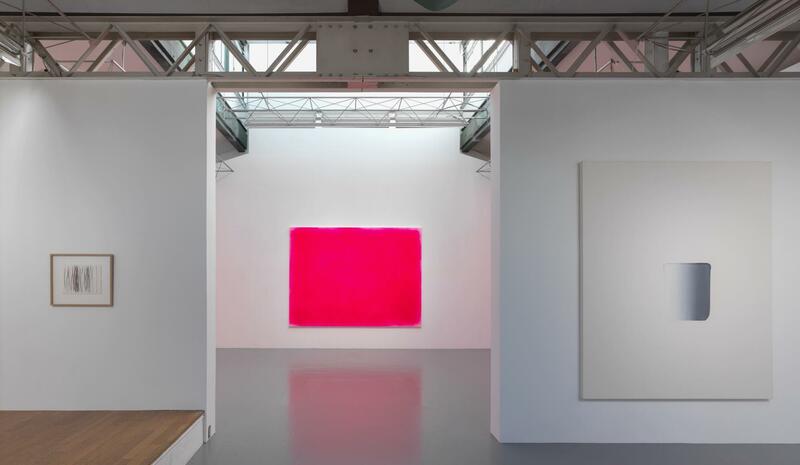 Their significance is attested to by the fact that all three recent major exhibitions—at the Lee Ufan Museum, the Guggenheim, and Versailles—specifically referred to the series in their catalogue texts. The artist’s active decision to leave areas unmade produces yohaku (empty spaces or margins), and he cuts personal expression to a minimum. This approach draws out the unique tension and stillness of a particular space, a characteristic of his work. 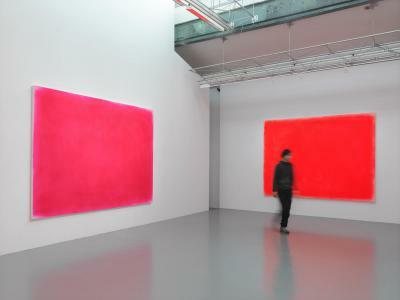 The recreated Landscape canvases, sprayed with fluorescent red, orange and pink, at first seem to be unrelated to any of Lee’s works to date. However, when the works are hung in the gallery, the intense colors do not remain on the canvas. 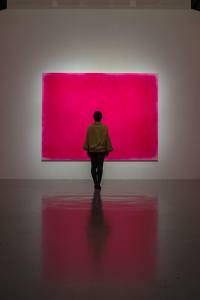 Instead, they extend into their surroundings, reflecting on the floor and ceiling, and dyeing the whole room. This sets up a recursive situation, as viewers are encroached upon by the paintings and colors within a space that itself envelopes them. These three spray-painted works transcend their existence as paintings, gaining a presence that impacts on the specific site. 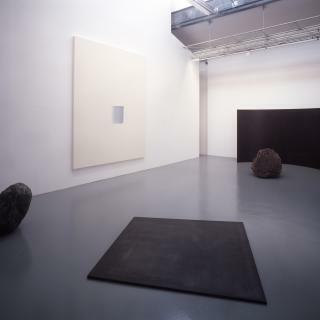 From the way that the simple state of being colored exerts an influence that perturbs the whole space, this early series can be seen as providing a foundation for the later Lee Ufan style of producing works incorporating the existence of yohaku, and of being strongly conscious of the space itself. 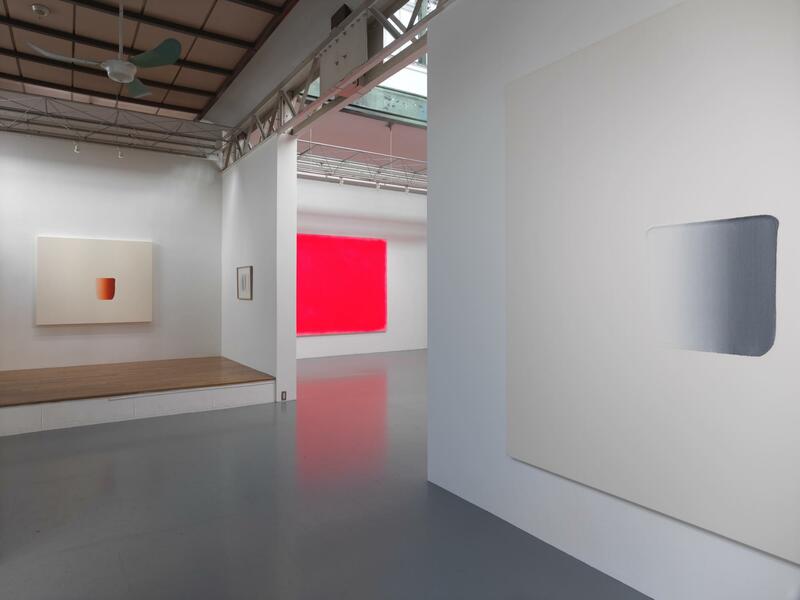 The Landscape series shares with the artist’s later works the powerful ability to raise questions about perception and space, conveying a sense of consistency in Lee Ufan’s approach to his art.